Today, most of the people are facing hair and skin problems. Treating these problems with a doctor’s treatment costs much money and leaves side effects as well. So, why not having a treatment which is cheaper and effective and also does not leave any side effect. 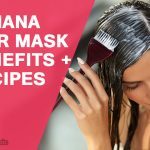 This magical treatment is aloe vera hair mask. It contains nutrients which nourish your hair and enhance their growth rate making them stronger and healthier. 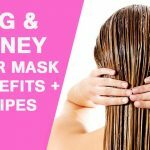 In this article, we will learn to combine different ingredients with aloe vera to make a healthy and effective hair mask, but first, let’s have a look at aloe vera hair mask benefits and homemade recipes. Repairs damaged cells of the scalp. Apply aloe vera gel to your hair and scalp and massage for few minutes. Cover your hair and scalp with a shower cap or a towel. Let it stay on for 20-25 minutes, then wash off. How it works: It improves your hair health and protects them from any damage. It prevents dryness in the scalp and encourages hair growth. Whisk the egg in aloe vera gel. Apply it to your scalp and hair and massage well for few minutes. Wait for about 20 minutes, then wash off with cool water and a mild shampoo. How it works: It provides nutrients to your hair and deep conditions them. It also adds smoothness and shine to your hair. Tips: Don’t wash your hair with hot water as it cooks the egg and makes it impossible for you to get rid of its smell. Mix coconut oil, aloe vera gel, and essential oil and whisk well. Leave it on for at least 20 minutes, then wash off with lukewarm water. How it works: It nourishes, hydrates and soothes your scalp. It also curbs hair fall and stimulates hair growth. Tips: For better results, take fresh aloe vera gel. Wait for 25-30 minutes, then wash off. How it works: This hair mask enhances the growth rate of hair and removes dandruff. It also makes your hair shiny, silky and healthy. In a bowl, mix all the ingredients to make a smooth mixture. Apply this mixture to your scalp and hair and massage well for few minutes. Leave it on for about 30 minutes, then wash off with cool water and a mild shampoo. How it works: This hair mask conditions your hair and nourishes dry and dull hair making them longer, thicker and smoother. Blend both the ingredients in a blender. Wait for about 10 minutes, then wash off. How it works: It helps minimize hair damage and maintains hair health. It also prevents your scalp from infections. Tips: Do not shampoo your hair after applying this mix. Mix both the ingredients well to make a mixture. Wait for about an hour, then wash off with a mild shampoo. Onion is one of the most effective ingredients which promote faster hair growth. 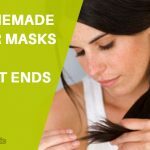 This hair mask curbs hair loss and promotes hair regrowth making your hair longer and thicker. Apply it to your hair and scalp and massage well for few minutes. Wait for 20-30 minutes, then wash off thoroughly. 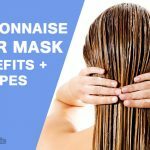 How it works: This hair mask nourishes your hair and scalp, reduces hair loss and enhances hair growth rate to give you longer and stronger hair. Tips: Don’t overuse lemon as it can lighten your hair color. So, people who are worried about their hair need not worry more if they have this magical plant ‘Aloe vera plant’ in their home. If they don’t have this plant, they can also use organic aloe vera gel or juice available on the market. Remember to do a patch test before applying it to the scalp as it may cause an allergic reaction in some people. 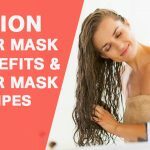 To maximize the benefits of aloe vera hair mask, one should also drink plenty of water and take a healthy diet for healthy and rapid hair growth.